Home » Blog » What to expect from breast MRI? What to expect from breast MRI? MRI is a diagnostic exam at center for diagnostic imaging miami which is used to detect abnormalities in breasts including breast cancer. It uses radio waves and magnetic waves to produce detailed images of body organs on a computer screen. However, Breast MRI is not a substitute for mammography or ultrasound, instead, it helps in thorough analysis of the breasts along with other diagnostic tools. Breast MRI is a potent tool for screening high risk patients. People with a genetic history of breast cancer or ovarian cancer are high-risk patients and they need to be screened from time to time to detect the disease at an early stage. If you are not sure whether you come under high-risk category or not, your physician might help you in the evaluation. Breast MRI can clearly show the extent to which cancer has spread; it is used after the diagnosis to get a clear picture of tissues affected by the disease. Breast MRI helps to find any ruptures and leaks in the breast implants. The sensitivity of mammography to detect cancer does decrease with implant augmented breasts, but it is not the case with MRI, MRI sensitivity has no effect whether the breasts are with implants or without implants. It is important to schedule your MRI around 7 to 14 days of your cycle. The first day of bleeding will be considered day 1 of your cycle. It is paramount to tell your doctor you’re pregnant because a contrast MRI is not recommended for pregnant women. Never forget to tell your doctor about any allergies you might have. A colored contrast MRI is done by injecting a dye to your vein, which makes the images easy to interpret. If you are facing any kidney problems like stones, do tell your doctor. The contrast dye used for MRI can cause serious complications for the people suffering from kidney problems. The radiologist will ask you to remove any metallic items from your clothing, including belts, bobby pins, necklaces, and watches. 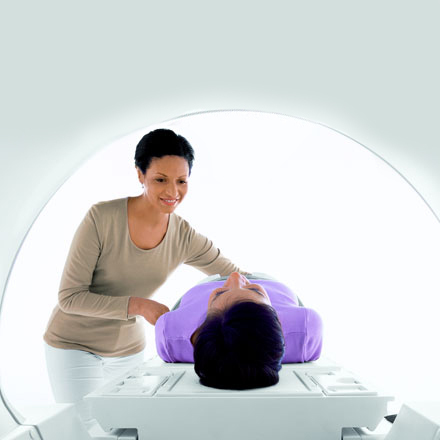 An MRI at the diagnostic center for women Miami will take anywhere from 45 to 90 minutes. Images are seen at the screen, which are then interpreted by an expert radiologist. How has diagnostic imaging impacted medical science? Diagnostic imaging, commonly stated as radiology, is one of the most revolutionary innovations in the medical world which has changed the way physicians and patients view health and diseases. The biggest advantage of the latest technologies, instruments, and equipment has led to substantial improvements in the world of medicine reducing the treatment cost and time period of the treatment by completely identifying the ailment from the images at diagnostic center. Radiology has made medical professionals, to look in the living human body without cutting it to detect & treat the life-threatening diseases and other complications in the patient. It is the visual discipline of the medical community and is a central component for the growth and development of medical science as a whole. Moreover, without radiology, it is impossible to recognize the contemporary medical fields which are wholly based on treatment after diagnostic imaging. Here are a few points on how the advances in medical imaging technology have changed medical science. Before the development of modern medical imaging technologies, almost every medical diagnosis required invasive procedures which harmed the human body. However, the development of x ray services, MRI and ultrasound technology has made medical professionals across the globe to take better care of patients. The discovery of medical imaging is highly instrumental in the success and development of medicine. It is helping medical professionals to see medical conditions better; dynamically helping the treatment of medical conditions. X-ray imaging and gamma radiation are amongst the most prevailing medical imaging technologies for active treatment. Picture Archiving and Communications System acronym or PACS is a technological solution to make it easy to store and access the vast volume of medical images in the radiology department. Medical professionals utilize a PACS for the wide management of images in medical imaging and to use it for reference to treatment. Moreover, digital access to the updated version of a patient’s medical images, clinical reports, and history helps in the better treatment and improve the care for a quick recovery, reducing the possibility of treatment and prescription errors & stopping redundant testing, saving a lot of expenses and resources of the patient and doctor. Digital access improves patient safety and saves both healthcare facility expenses and patient time and money. The system stores, retrieves, and share images produced by various medical hardware modalities in the diagnostic center for women Miami, such as from an X-ray, ultrasound machines, computed tomography (CT) scan, magnetic resonance imaging (MRI) and many more. Medical experts are fully aware that taking care of the unique requirements of women is vital to the health of a community. Women’s diagnostic center Miami offer comprehensive services for the requirements of women ranging from different stages of life. One thing they do well is to offer a warm and inviting setting for many of their diagnostic and treatment services. These facilities offer the privacy required for women to uphold a level of individuality during treatments and visits. Some of the services served in these centers comprise breast health programs, mammography practicing a computer-aided diagnostic system (also referred to as CAD), stereotactic biopsy, infertility services, four-dimensional ultrasound, one of the best cardiac health programs in the provinces, menopause, arthritis, and osteoporosis screening and testing to name a few. Some other services offered by the diagnostic center for women Miami include the weight control help comprising the bariatric program and the cardiac health program. The center concentrates on monitoring health and for those that need it the women will find state of the art care and surgery choices. The latest in heart bypass surgery involves the use of a da Vinci robot to ease the trauma provided to the patient through a number of refinements in the surgical process. With the assistance of a robot, the specialist can make finer and smaller notches that lead to less blood loss and less scarring. The robot also provides many more benefits to the patient and is one of the valuable tools used to assist those women who need to be repaired before shifting on to living a healthy life. 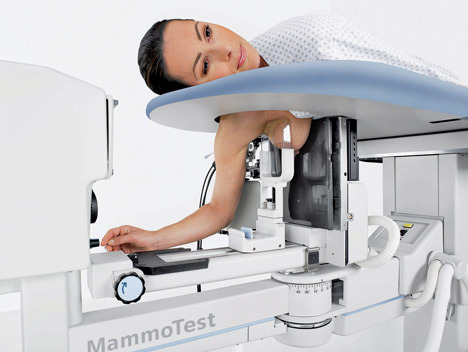 An additional valuable tool is the use of a digital mammogram Miami system. This modified diagnostic tool is a part of the comprehensive breast imaging program that comprises screening and diagnostic mammography, computer-aided detection, breast ultrasound, non-invasive outpatient breast biopsies, needle localizations and breast MRI with computer-assisted design equipment. The advanced tools have unsurpassed quality images that lead to early uncovering and diagnosis of breast cancer, decreased patient exam time and reduced number of mammogram callbacks. All of this is giving rise to a healthier society of women. Of course, these are just the ones that stand out due to a focus on assisting women through all of the different phases of their life. Some centers also provide all of the standard treatments available to both women and men. Seeking the prominent diagnostic center for women Miami? Well, in that case, you have landed at the right location! Many people hardly emphasize the overall reputation of a diagnostic center when it comes to imaging scans. It is mandatory for you to check the background of a service provider that can assure quality services without any hassle! There’s no point in spending your money on the services that are actually not going to serve you in the treatment of a specific disease. A lot of people face issues with their reports like poor quality imaging, delayed results, and uncertainty. One should always keep in mind that they can always get the right treatment from a renowned physician only when they get a proper diagnosis as recommended by their doctor. Thus; it is necessarily important for you to pick the right diagnostic center for better results and timely reports. Dive in here to know more about choosing the appropriate service provider. It is always a wise decision to rely on the reviews posted by people who have earlier been to any of the diagnosis centers located in Miami. This would not only give you an idea regarding the services offered by a particular center but you could eventually decide which would be best for you. Another reason to rely on these online portals is that you can get the idea about the services that are sometimes not available at all the diagnostic centers. Once you have shortlisted the available service providers, it is the time to pick the one that suits you the most. Undoubtedly, you can always rely on references from your acquaintances that possess some knowledge about the promising diagnostic medical imaging service providers in your location. A referral could be the best thing that can surely lend a hand in finding the appropriate service provider possessing great expertise in offering the best in class imaging diagnosis services. Apart from this, you can always seek references from your physician as they possess ample knowledge about the promising centers in Miami. It would be great to consider them for your scans like the X-Ray, Mammogram, or an MRI scan. So these are some of the easiest ways to seek professional medical imaging services that can augment your overall medical treatment. A 3D Mammogram is a diagnostic technique that is used to identify any tumor in a women’s breast. Your doctor may recommend a mammogram that diagnosis the tumor for cancer cells, and to identify the stage of the disease. It is always a great decision to ask openly about the diagnosis from your physician. Your physician may guide you properly about the tests and the things that require adequate consideration before beginning the test. There are certain precautions associated with the test, which needs to be taken care of. Here are some tips that would help you during your scan. A 3D Mammogram is a process of observing a breast by passing low-level X-Rays to get an idea about the presence of any cancer tissues in the women breast. Furthermore, these kinds of tests are done under the supervision of an experienced radiologist that can offer the precise diagnosis services. Many times women who don’t feel any symptom associated with breast cancer are advised to go for a mammogram, which helps in the early diagnosis of the disease. If the breast specialist in Miami has guided you to go for a mammogram, you need to take care of certain things. One should always consult a renowned professional before undergoing an X-Ray to ensure that there are no chances of any glitch before the procedure. There could be a little possibility of some side-effects of the exposure to the radiation to some people. It is always a great decision to talk about the allergies and skin ailments to your doctor in advance so that they can alter the procedure accordingly. The diagnostic center for women Miami provides you the perfect guidance about the do’s and don’ts precisely. Another important precaution is to avoid the use of deodorant or any other cosmetic products, which may eventually interrupt the overall diagnosis procedure. Apart from this, make sure you have openly talked about the drug reactions or any other side-effect regarding any drugs in advance. You can consult your physician if you are having any allergies or side-effects due to the any prescribed drugs. So these were some of the precautions associated with the Mammogram in the US.